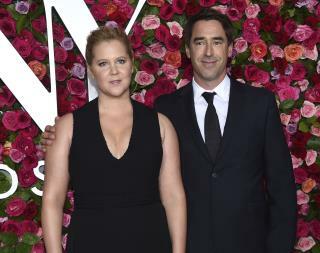 (Newser) – Amy Schumer loves her husband because of his autism, not in spite of it. Chef Chris Fischer, whom Schumer married last year, "has autism spectrum disorder. He's on the spectrum," Schumer says in her Netflix special Growing, which was filmed in Chicago in December and began streaming Tuesday. "All of the characteristics that make it clear that he's on the spectrum are all of the reasons that I fell madly in love with him. That's the truth. He says whatever is on his mind. He keeps it so real," she adds, per OK! If things continue in this direction at this pace, every human will be "on the spectrum" before 2050. There was a time when ppl tried to avoid receiving any such diagnosis; now people do everything they can to secure such a diagnosis. Just in case you needed reminding how woke she is. *eyeroll* I wish she would go away now.